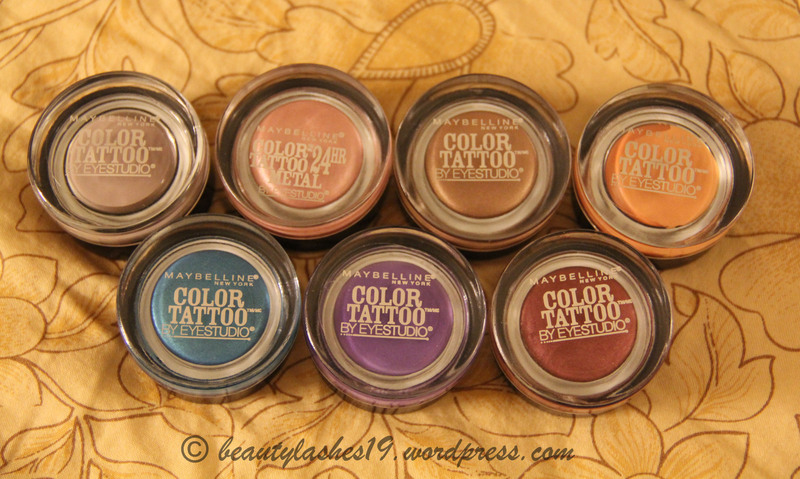 The next product in my series of cream eye shadows is the Maybelline Color Tattoo 24 hr cream gel shadows.. These are saturated in color and can be used alone or as an eyeshadow by increasing its intensity.. These are available in 9 shades as of now and I have 7 of them.. These are on the drier side compared to other cream shadows like MAC Paint pots, Buxom, etc..
Each color costs between $6 to $8 USD depending on where you buy it from.. 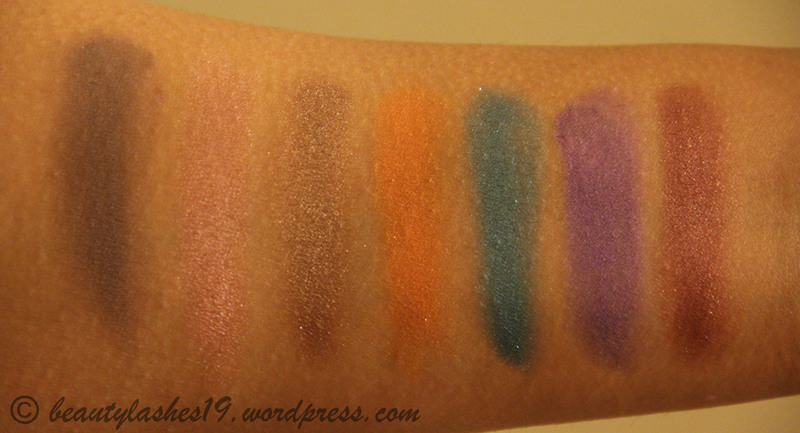 Hence, these are a better value for money compared to higher end cream shadows.. 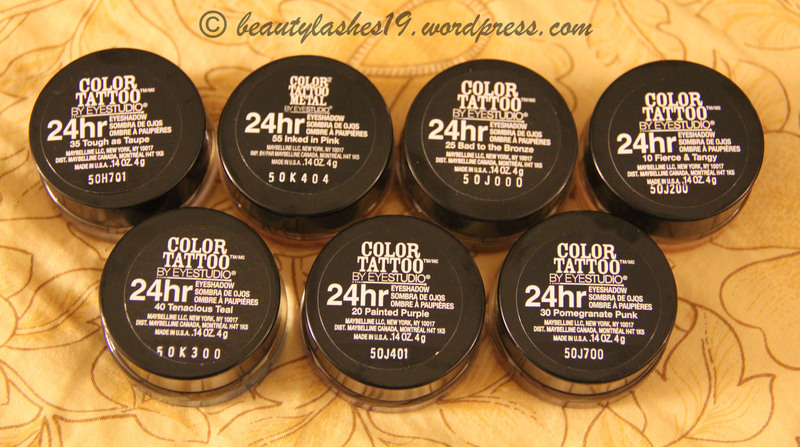 The packaging is similar to MAC paint pots – heavy glass jars with plastic black screw top lid.. They are smooth in application and although I have never tried wearing these for a whole 24 hrs, these are long lasting.. especially since they dry up and set quickly.. These are meant to be crease proof but again they tend to crease on me without an eye primer since I have oily eyelids.. With a primer though, these last well on my eyelids.. The color range is quite good..
L to R: 35 Tough as Taupe, 55 Inked in Pink, 25 Bad to the bronze, 10 Fierce and Tangy, 40 Tenacious Teal, 20 Painted Purple and 30 Pomegranate Punk… Indoor lighting..
L to R: 35 Tough as Taupe, 55 Inked in Pink, 25 Bad to the bronze, 10 Fierce and Tangy, 40 Tenacious Teal, 20 Painted Purple and 30 Pomegranate Punk… Natural day light..